Route 66: Dream of the Mother Road. 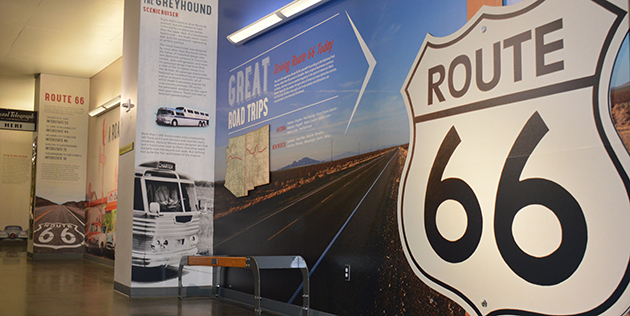 A road so quintessentially American that is has become a permanent part of our cultural memory, Route 66 is a symbol of freedom, abundance, and the thrill of the unexpected. 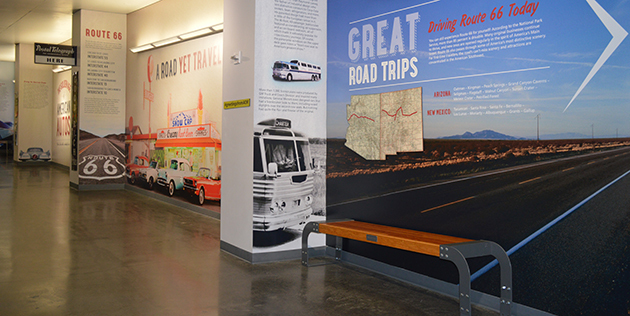 LeMay’s exhibit tells the story of Route 66 and the American automobile—reaching their peak during the great postwar boom in leisure auto travel. Arscentia designed an experience that leads viewers on a visual “road trip” along the historical highway—through natural wonders, filling stations, burger joints, and motels. 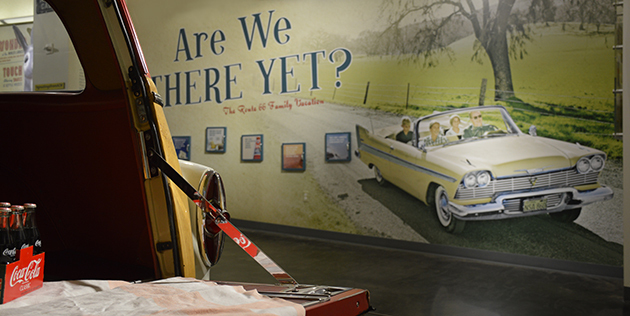 Utilizing vintage graphics, historic photos, authentic kitsch and life-size stand-offs, museum patrons feel nostalgic as they step back in time along Route 66. 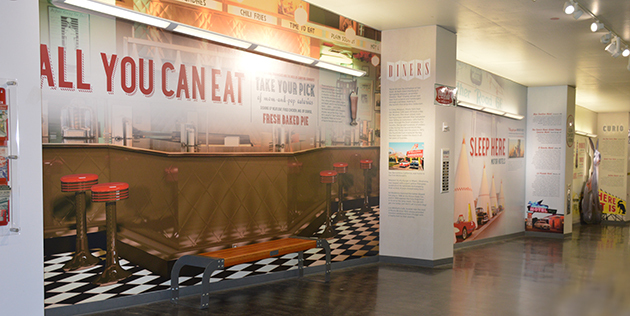 Whether you were there or just wanted to feel like you were, this immersive and interactive exhibit takes you on a journey straight through the heart of the American dream.